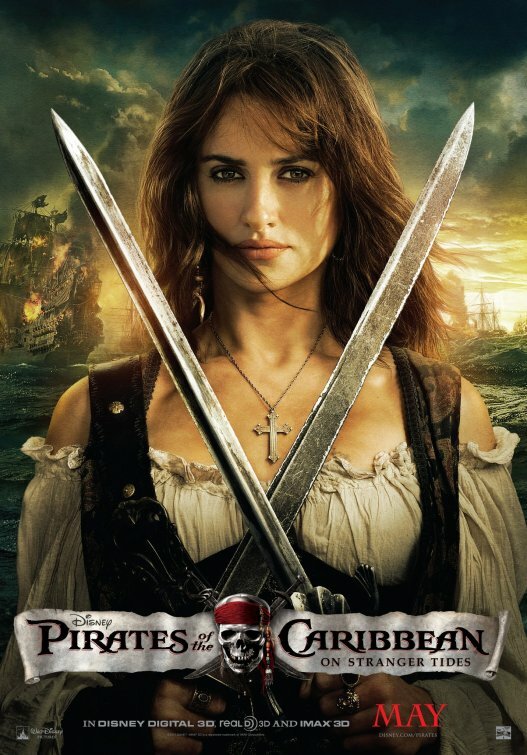 In Pirates of the Caribbean: On Stranger Tides, Penelope Cruz stars as 'Angelica', the daughter of the infamous pirate Blackbeard, on a mission to save her father's soul by using the rejuvenating powers of the mythical Fountain of Youth. 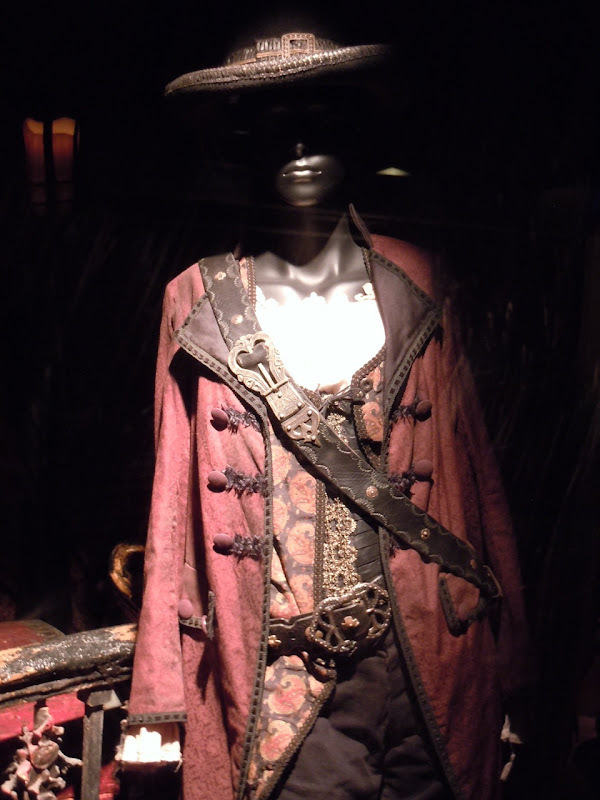 Aside from the mermaids in the movie she is one of the only female characters featured in Disney's fourth installment of its popular Pirates movies. 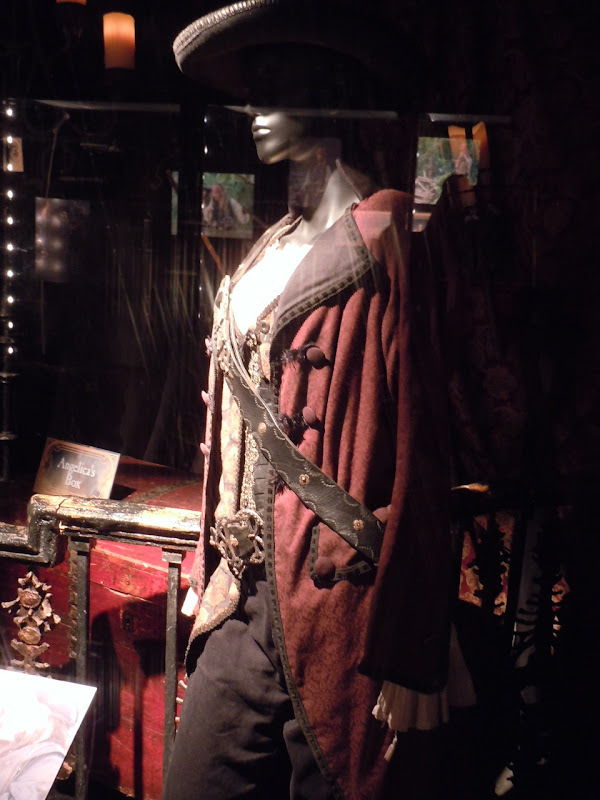 Her costumes in the film were designed by Penny Rose, who was also responsible for the three previous movies. 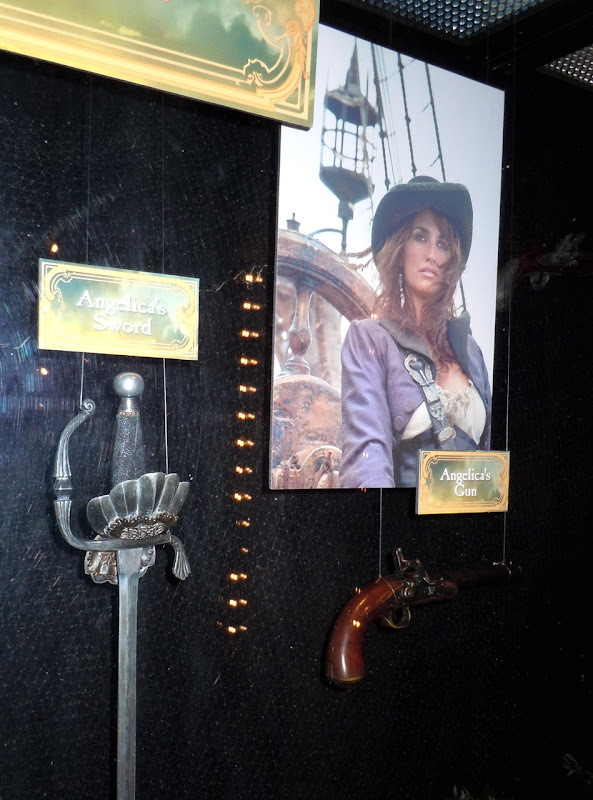 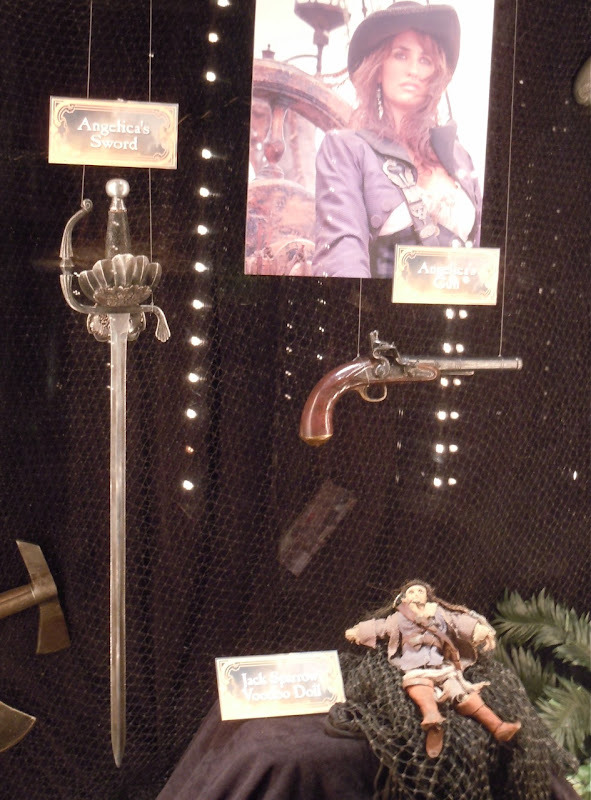 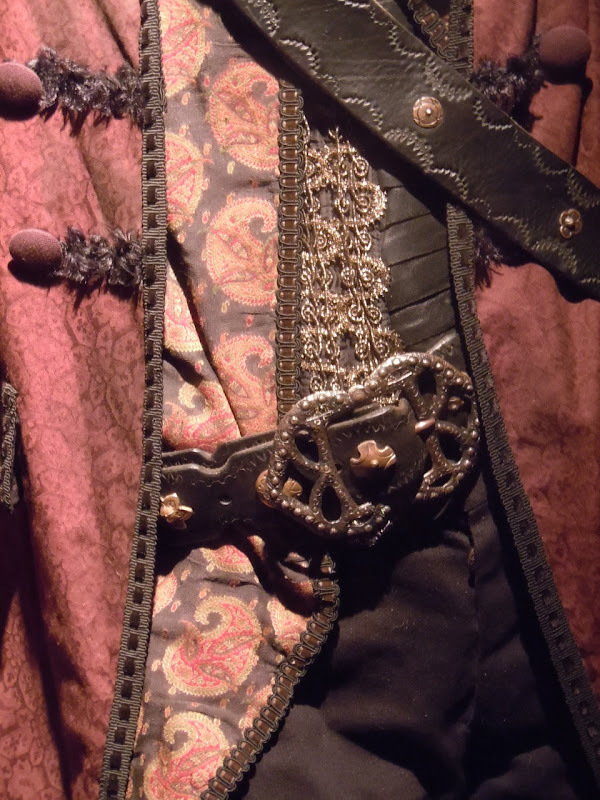 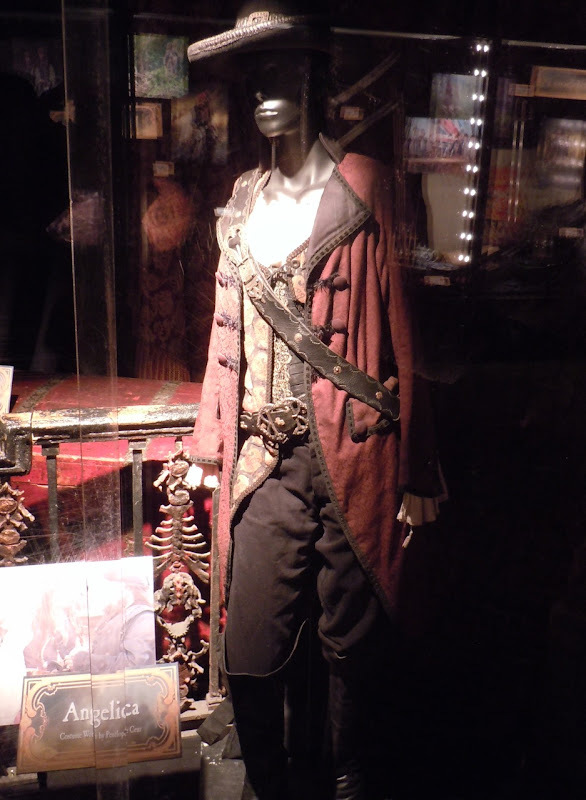 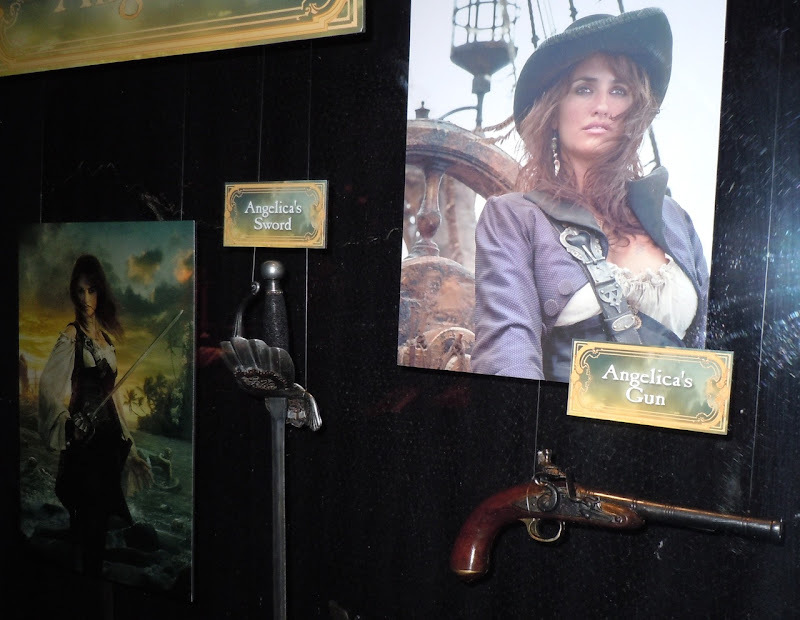 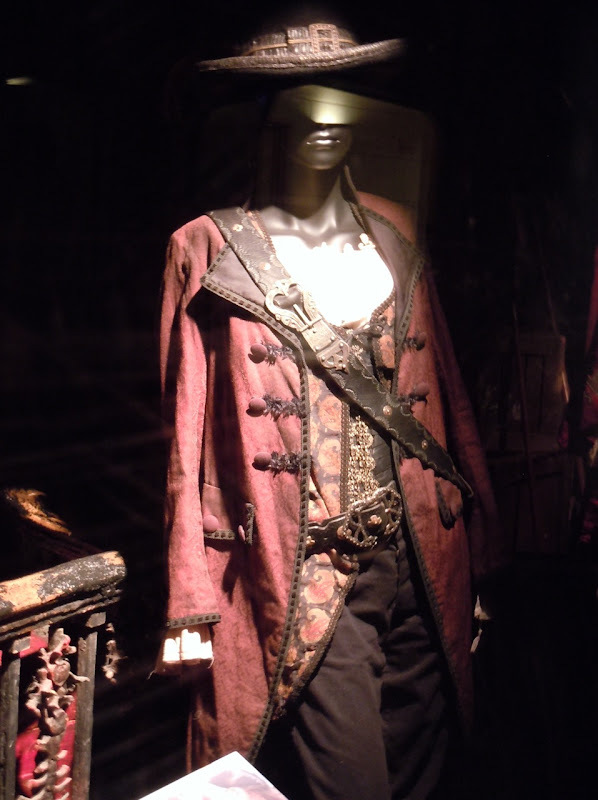 In addition to this original costume on display at the El Capitan Theatre in Hollywood on May 23, 2011, you can also see the sword and pistol props she wields in the fantasy adventure. 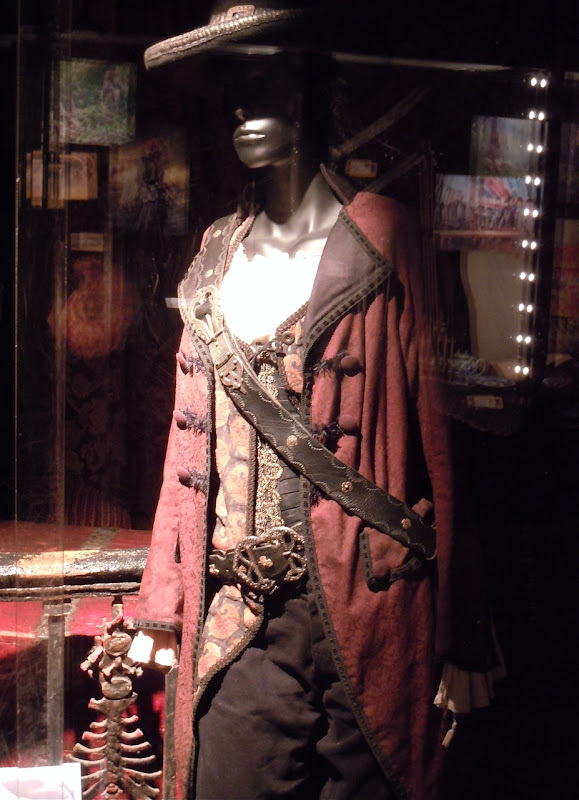 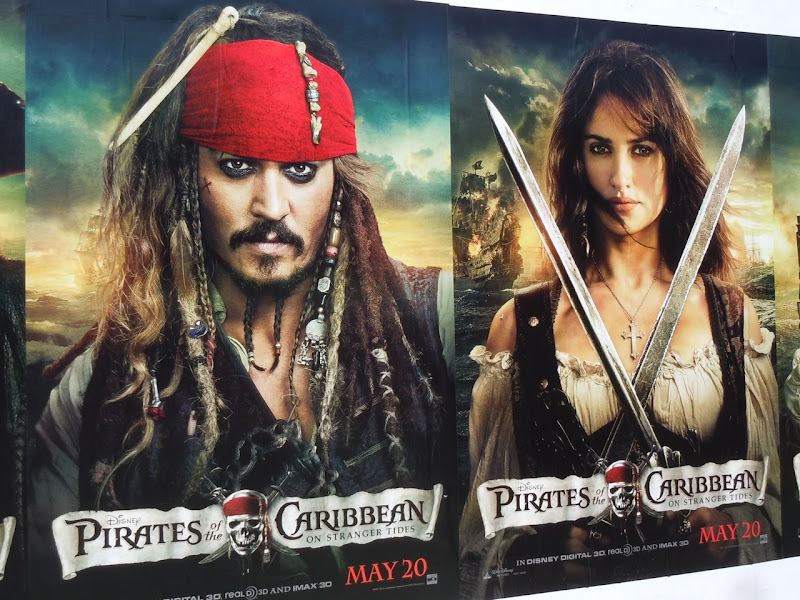 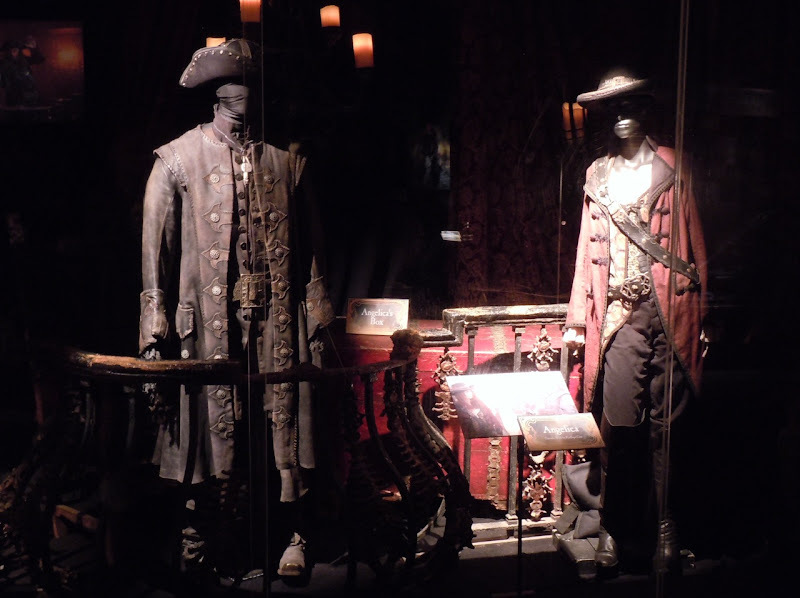 If you like these be sure to check out these other original props from Pirates On Stranger Tides on display at ArcLight Sherman Oaks cinema. 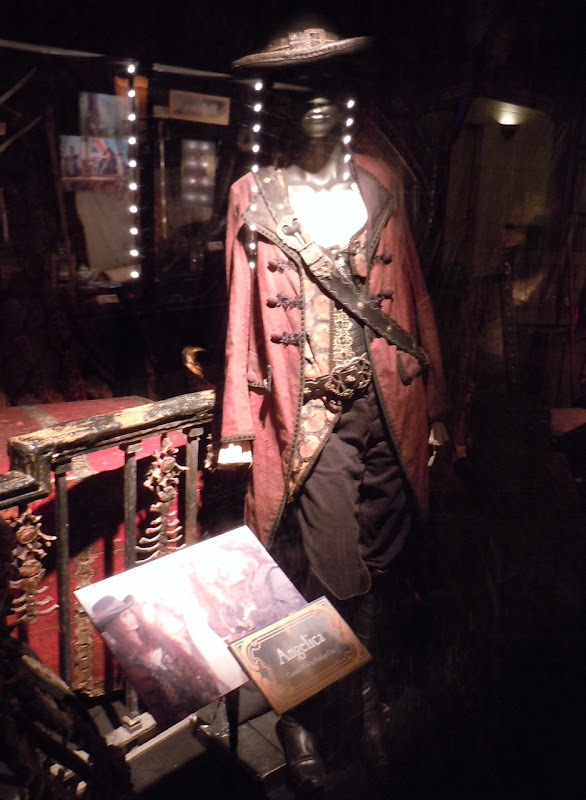 Be sure to come back soon for more photos of Ian McShane's Blackbeard costume and his weapon props from the movie on display. 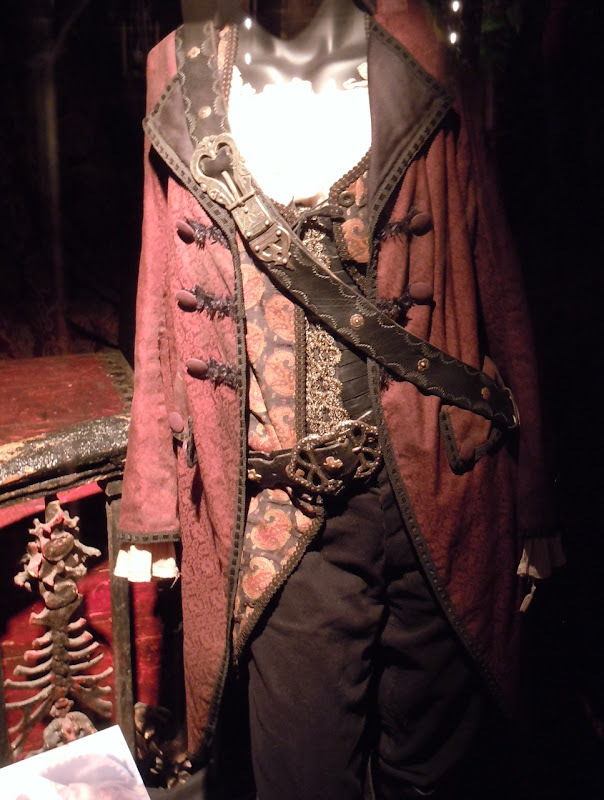 It'd be mighty cool to go as this for Halloween, eh?